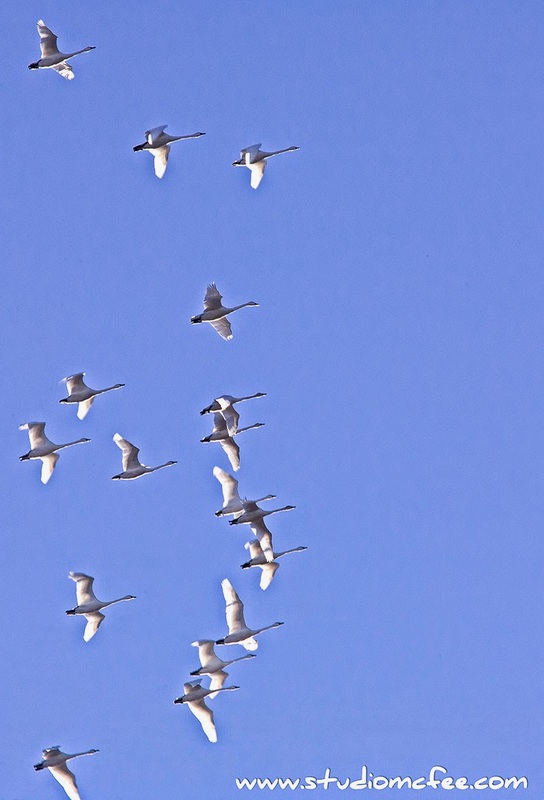 Each spring, migrating tundra swans reach the north shore of Lake Erie near Aylmer, Ontario. I photographed this wedge of swans near the village of Sparta. It was a clear, calm day. I could hear the swans getting closer for several minutes before they appeared. They sound something like Canada geese but less shrill, more muted, more melodic. It was a magical few moments as I witnessed a herd of 20 deer in a field and dozens of swans flying overhead. Nature knows beauty.